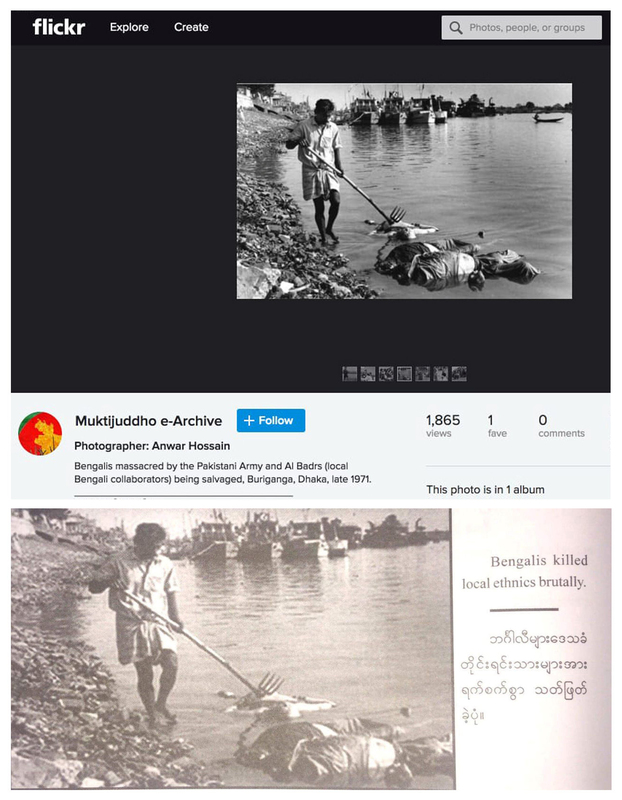 A new book on the Rohingya crisis authored by Myanmar's army, shows a man standing over two bodies wielding a farming tool. 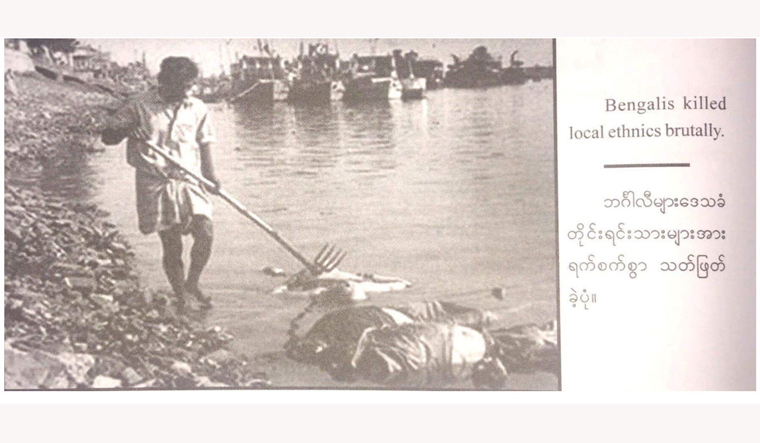 “Bengalis killed local ethnics brutally”, reads the caption. 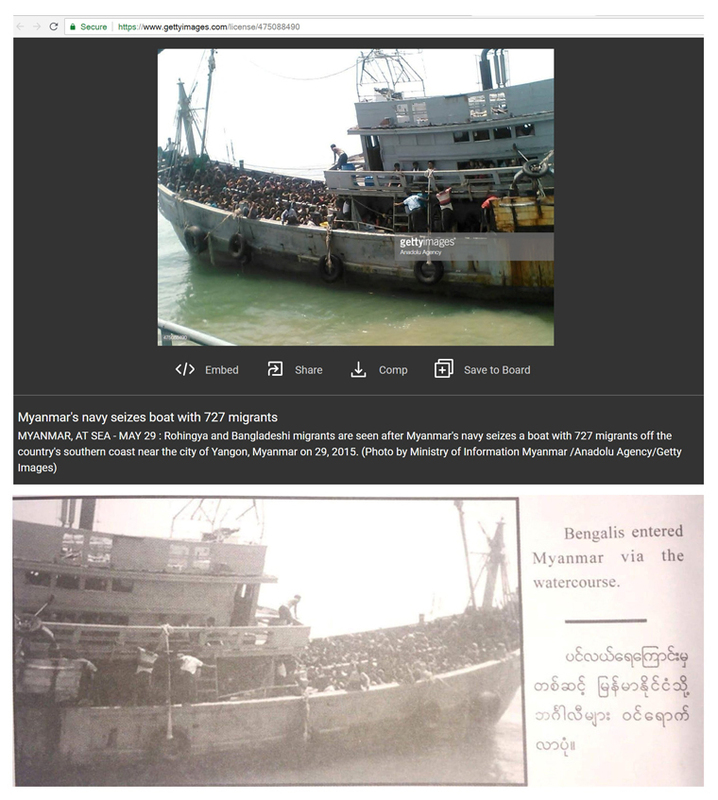 But Reuters claims that the photograph was actually taken during Bangladesh’s 1971 independence war, when hundreds of thousands of Bangladeshis were killed by Pakistani troops. The book was published in July by the army's department of public relations and psychological warfare. The image is one of three that appear in the book. Another image with caption saying that Bengalis intruded into the country after British Colonalisation occupied the lower part of Myanmar, is actually an award winning image of Rwandan Hutu refugees leaving Tansania.